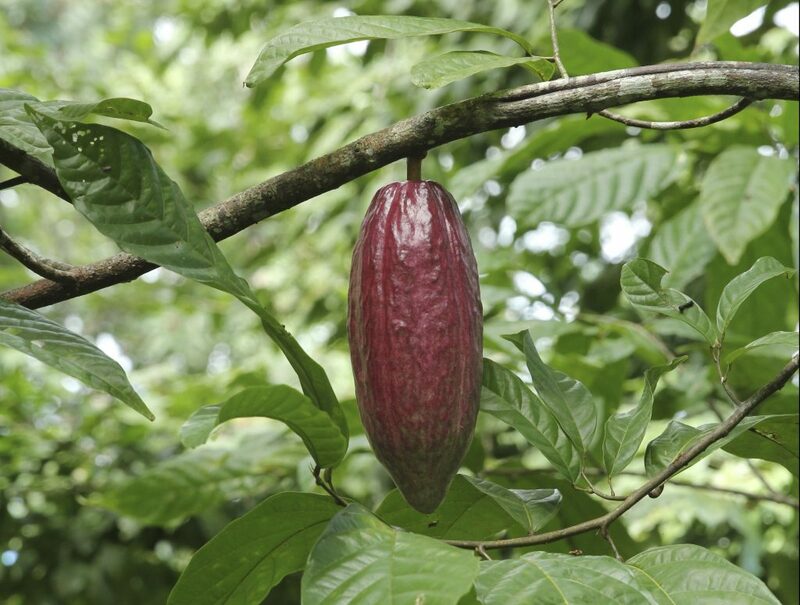 Education Station: Is that Cacao Pod Ripe? You’re curious, so we find answers. Our education team fields lots of questions from our guests during classes, so we’ve decided to launch a brand new series of monthly installments in which we tackle some of those questions and share the answers with the world. We call it The Education Station. 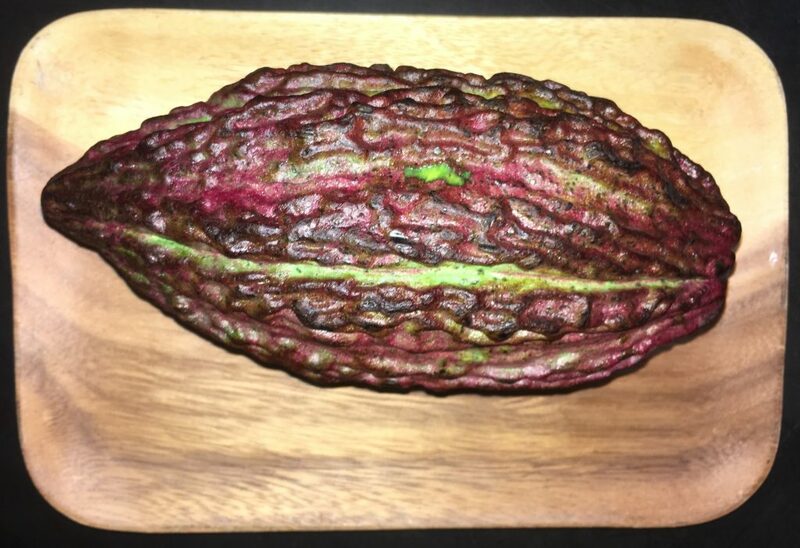 This week, Cynthia takes a close look at cacao pods, and answers a question she’s been getting a lot ever since she started importing fresh pods from Ecuador for classes: when is a cacao pod ripe? A cacao pod—the fruit of the theobroma cacao tree—starts off as a tiny flower, and over the course of many months after it’s pollinated, that flower gives way to a plump and colorful pod filled with seeds. The fruit has a long growing season and even grows year round in some countries, typically between 20 degrees north and south of the equator. 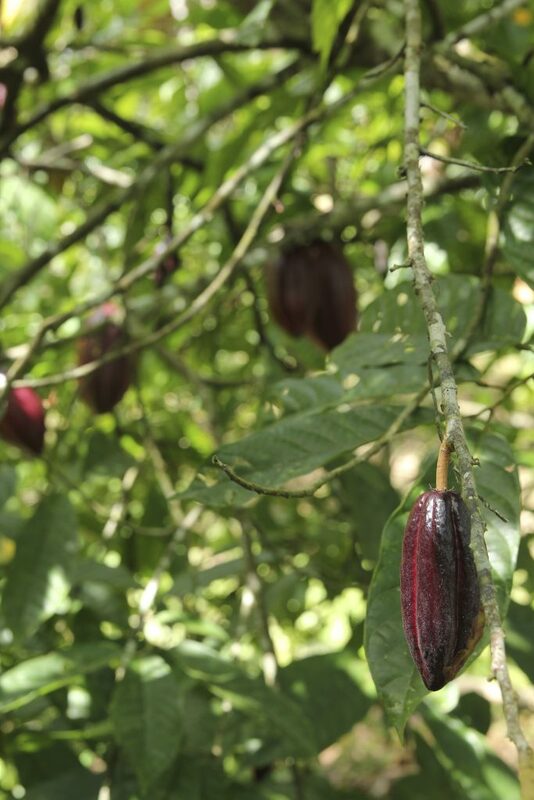 Unlike many of the fruits we’re used to in the US, cacao pods grow year round, and they don’t all tend to ripen at the same time or even in the same season. 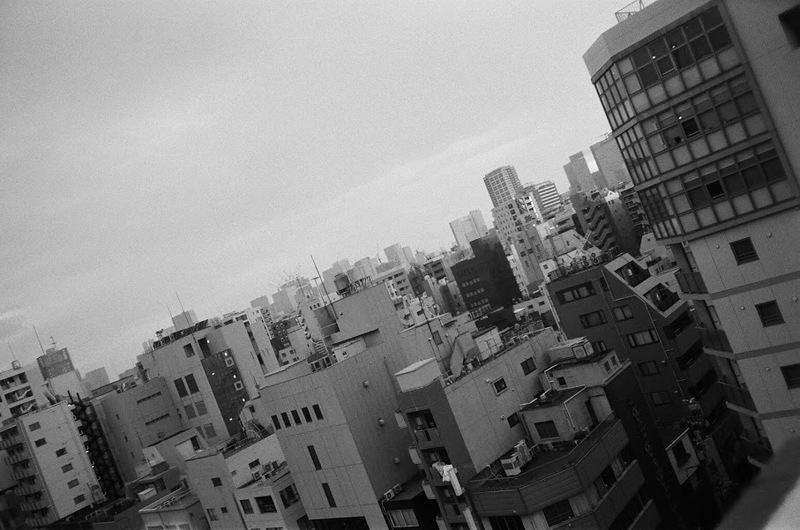 Take a look at the tree below. Note that there are tiny flowers growing directly on the trunk. You can see two of them approximately in the middle of the trunk in this photo. At the same time, we notice the unripe cacao fruit which is the deep almost purplish red fruit with hints of green on the top left side. 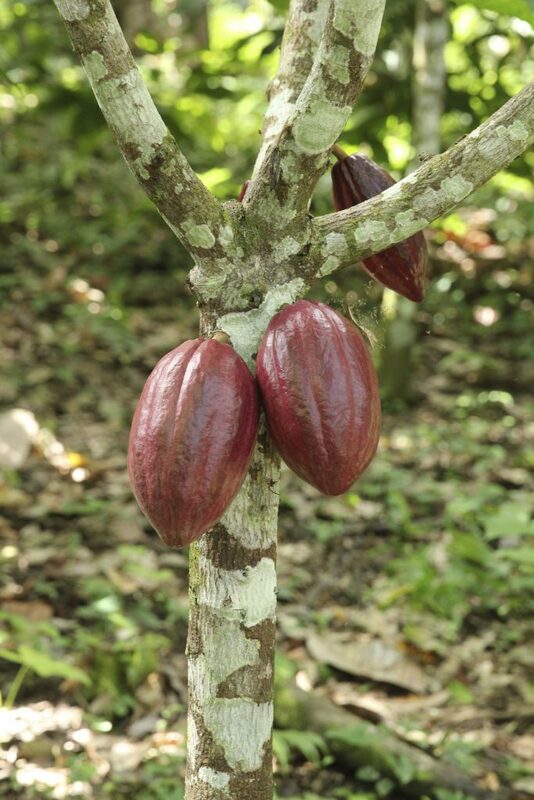 And there is ripe cacao fruit too, the yellowish pods with a dusting of red on the trunk near the flowers. What does that tell you? You can have many pods on one tree all with varying levels of ripeness. You are likely to harvest some pods now, others next week or in a few months, and if you wait for those flowers to become ripe pods you’ll be back to harvest them in five or six months. So how does one know which pods are ripe? You might think, based on your experience with fruit throughout your life, that we could guess a pod’s ripeness based on its color. You’re not wrong, but you’re not totally right either (sorry). Judging ripeness isn’t as simple as looking at the color because there are so many different types of cacao, and the way they express their ripeness varies. 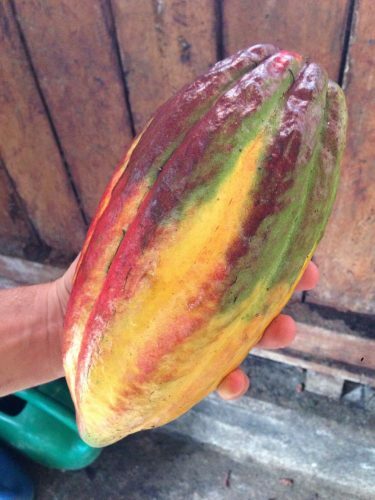 Does this rainbow colored cacao pod from Brazil look ripe? Think about apples. Are you thinking about apples? Good. Think about all the different kinds in a grocery store—green Granny Smith or Gravenstein, blushing red and yellow Fuji, or deep red Ruby Delicious. 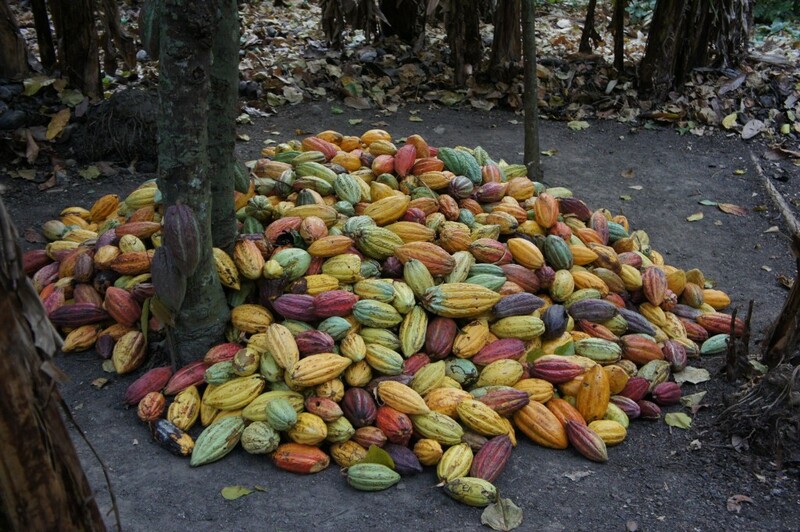 They’re different colors but all of them might be ripe, and the same is true of cacao. I’ve seen cacao fruit that was ripe when it was red and cacao fruit that was unripe when it was red. A pile of ripe pods, every color of the rainbow. 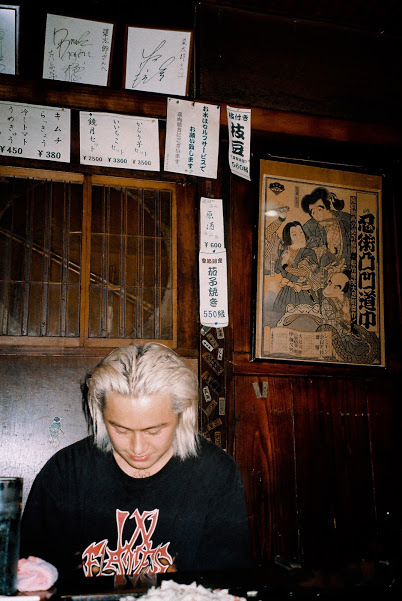 Thanks to Greg D and Dandelion Chocolate Japan for taking this great shot while visiting Marou Chocolate in 2016. At the same time, if the apples on the tree in your back yard always started out green and turn red when ripe, you would know to wait until they turned red. Someone who had no idea what type of apple tree you had might not know whether it produced green, yellow or red apples, and wouldn’t know when to pick them. This is why cacao farmers must get to know their trees so well. But how are the rest of us to know? Luckily, there are a few tricks. When you shake a whole pod, do you feel the insides moving around slightly? If yes, it’s probably ripe. Or is it sloshing around like a can of soup? If that’s the case then it’s likely overripe. As the cacao pod ripens, the sugars and pulp in the fruit develop and the seeds loosen from the husk, making a juicy, sloshy fruit. If a pod is unripe, the fruit will be more connected to the outer husk and will feel more like shaking a solid object, like that apple we started out with. Imagine this cacao pod was whole and you shook it… see that gap between the inner fruit and the outer husk? You would feel the insides moving separately. So, great! That was easy. Just shake the pod and listen. But wait, is there a way to test ripeness before you’ve gone and cut the pod off the tree? Good question. We learned another trick from our friend Will when we harvested cacao at his farm, Steelgrass Farms, in Kauai. Okay, this might sound like the most annoying option but I promise it’s not. (But I don’t promise to stop the bad jokes). The color of a cacao pod is the color of only the very thin, outer layer of the husk. The color of the thick husk beneath that skin changes depending on ripeness. If you scrape the husk with your fingernail and find green underneath like I did in the photo above, the fruit is unripe. If you scrape the husk and find yellow or white, then it’s ripe. And that’s that! Progression from unripe to ripe. Left: A cacao pod that is unripe. See the green color just below the layer of red? Middle: A cacao pod that is slightly under-ripe. Note the slight greenish color just below the red outer layer of the fruit. Right: A ripe cacao pod. Note the pale yellow color stretches throughout the husk of the fruit directly to the outer yellow layer. 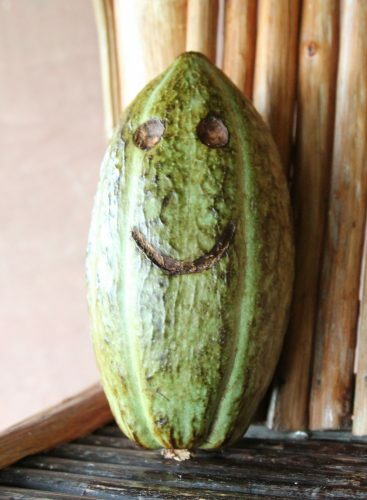 Now that you can’t wait to try out these techniques (I can see you jumping out of your seat), your next question might be: where can I find a cacao pod?? Luckily for you, no need to get yourself to a cacao farm. 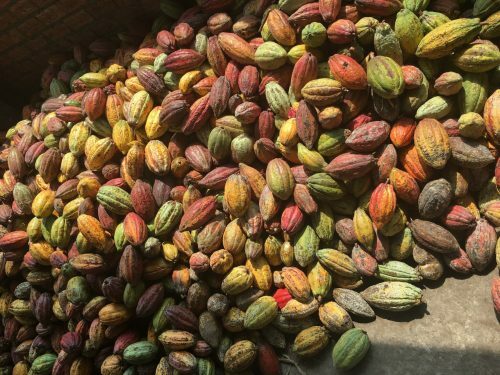 We’ve got fresh cacao pods weekly in the factory, and all you have to do is sign up for our Chocolate 101 class! We’ll also bring them to occasional demos, like our upcoming demo on June 10th from 1-3pm at the Conservatory of Flowers. Tastes Good, Feels Good, Must Be Theobroma Cacao! Adam Kavalier is the founder of Undone Chocolate in Washington D.C., and he also happens to be a plant scientist whom we like to reach out to when we’re trying to understand the compounds in our beans. Here, he explains the mysterious properties of Theobroma cacao, and why a plant would dare to taste so good. Many plants are a source of nutrition for humans and animals, but some plants are so much more than just that. Some plants taste better than other plants, and some just feel good to eat. And then there is Theobroma cacao, a special plant at the intersection of those two worlds that tastes as good as it makes us feel. But why, if we look at this from an evolutionary perspective, would a plant create compounds that we like to eat, and more so, that make us feel good? What’s in it for the tree? As far as plants go, Theobroma cacao is especially, unusually rich in compounds that impact the way humans feel and function. While it wouldn’t seem critical for T. cacao to make polyphenols (antioxidants), methylxanthines (stimulants), or biogenic amines—(the neurotransmitters that are released in the brain when we feel good and are in love)—all of these actually play a major role in the way a plant survives. Plants produce sugars through their remarkable ability to photosynthesize, combining the sun’s energy with carbon dioxide and water to produce energy to survive. This process is the basic foundation for life, and the reason we are all alive and able to live on this green planet (and enjoy chocolate). The synthesis of sugars and other compounds such as amino acids, DNA, and RNA, gives a plant cells the ability to survive on a primary level. These compounds are therefore referred to as primary metabolites. A second group of compounds that includes polyphenols, methylxanthines, and biogenic amines, are more indirectly associated with survival. These compounds are referred to as secondary metabolites. Plants are sessile, which means they cannot move like many other organisms, and therefore can more easily fall victim to predators that are looking to eat (in the case of animals), or infect (in the case of bacteria or fungus) them in order to fend for themselves. It has been well documented for centuries that the difference between a medicine and a poison is often a matter of dosage. 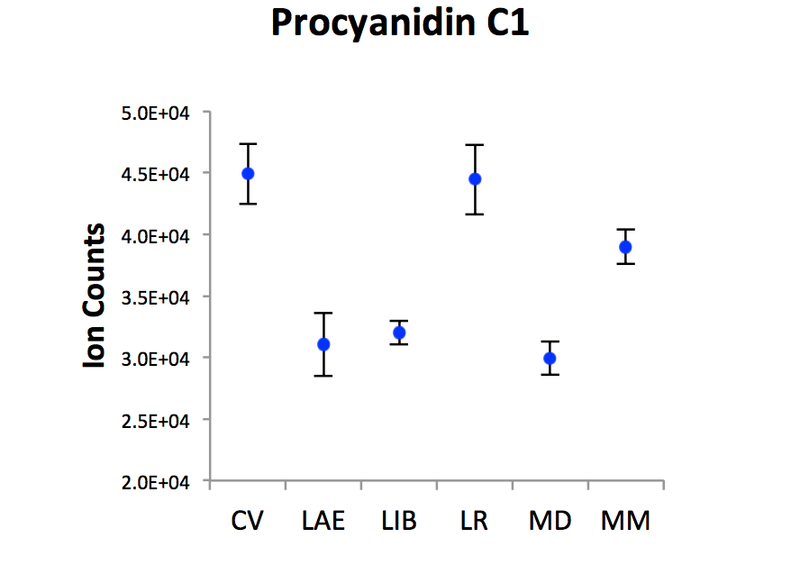 Many secondary metabolites are bitter and toxic to small plant predators but, luckily for us, can be medicinal in large mammals such as humans. So, while secondary metabolites can provide a defense system for plants against insect and animal predators, they can provide medicinal benefit to animals large enough in proportion to the dosage. It is known that theobromine (the most abundant methylxanthine in chocolate) can increase good cholesterol, or HDL levels, and the polyphenols in chocolate can have a positive impact on the vascular system which controls blood flow and blood pressure. Although they can be toxic to small animals and plant diseases, the wonderful compounds in chocolate are incidentally good for human health, and have the added bonus of making us feel good and tasting delicious! Cheers to healthy and tasty craft chocolate that makes you feel good! It’s widely known that chocolate and dogs don’t mix, but it doesn’t seem all that important until it happens to you. This past Thanksgiving, I had a close call with my dog that I wanted to share in hopes that it can help others in my situation. 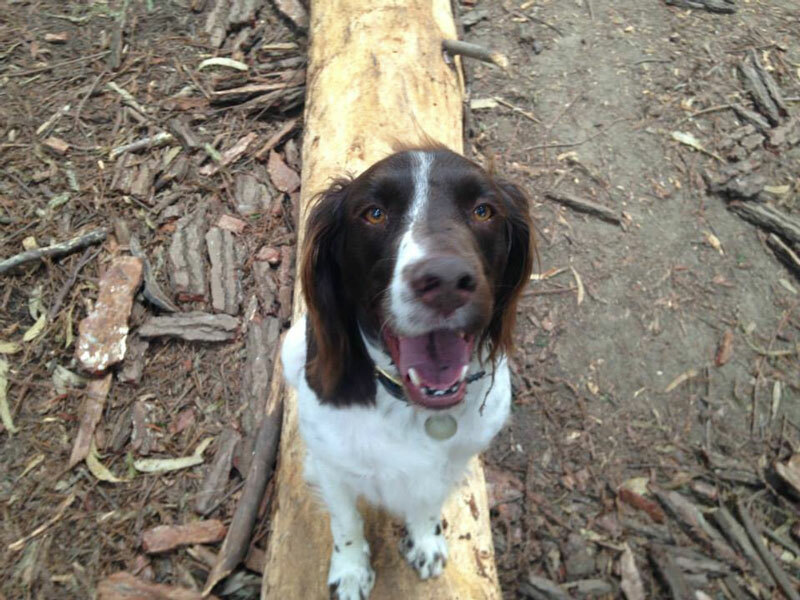 We got him about two years ago from English Springer Rescue America of Salt Lake City. Samson had been found in the woods with a bite on his neck and had been stitched back to health. 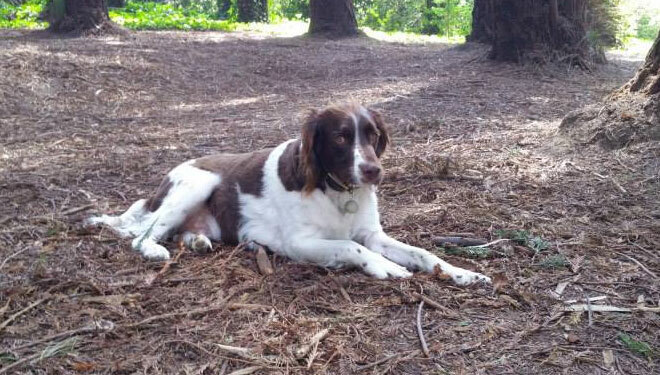 Genetic testing revealed that he’s not actually an English Springer (he’s 75% Brittany, 25% pointer) but he’s pretty sneaky. So we’re happy he snuck in to the rescue group. This past Thanksgiving-eve happened to be my birthday. As per Dandelion tradition, everyone gets a birthday treat on their special day. 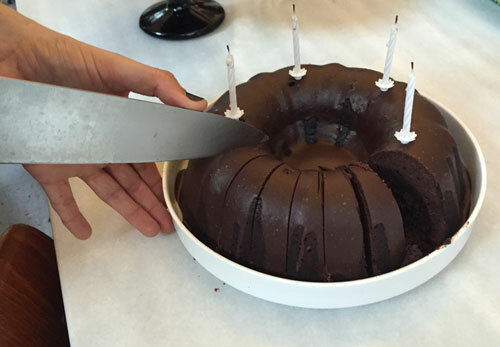 In my case, I had requested a recreation of the tunnel of fudge bundt cake — one of my childhood favorites — but reimagined with good chocolate. This was particularly challenging because the cake of my childhood came from a box, and included a full-on fudge tunnel. In the original version, the molten tunnel was created by a soufflé-like baking effect that left the middle gooey. Annie and Dana slaved away secretly for days to create the Dandelion version of this cake — and it was not light on the chocolate. They actually made two cakes, and by my calculations, each had about 10 bars worth of chocolate in it. That day, we gathered around the table and sang Happy Birthday. The cakes were so decadent that we only got through one. I packed up the second cake to bring home as a bonus Thanksgiving treat for our guests. 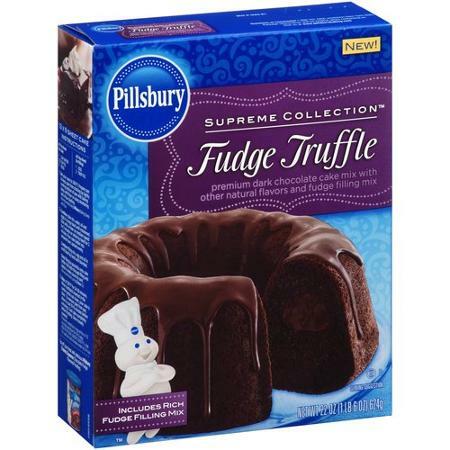 Later that night, Elaine took me out to dinner and we left the cake in the middle of the kitchen table, packaged up neatly on its cake stand. We had already set up for Thanksgiving with an extra, double-wide table, which means the cake was in the middle of an 8 x 8-foot table. There was no reason to think that our (normally super sweet) dog would, or even could, climb on the table to eat the cake. Two hours later we arrived home and something was amiss. Nothing was out of place except a tiny section of wrapping missing from the cake stand. The paper dome covering the pedestal still retained its bundt shape, but the cake itself had disappeared. We searched high and low and came to the conclusion that our dog — who was looking a tad bit fatter — had pilfered the cake. Thoughts of betrayal and sadness were immediately pushed aside when we realized, that that was one super chocolatey cake! 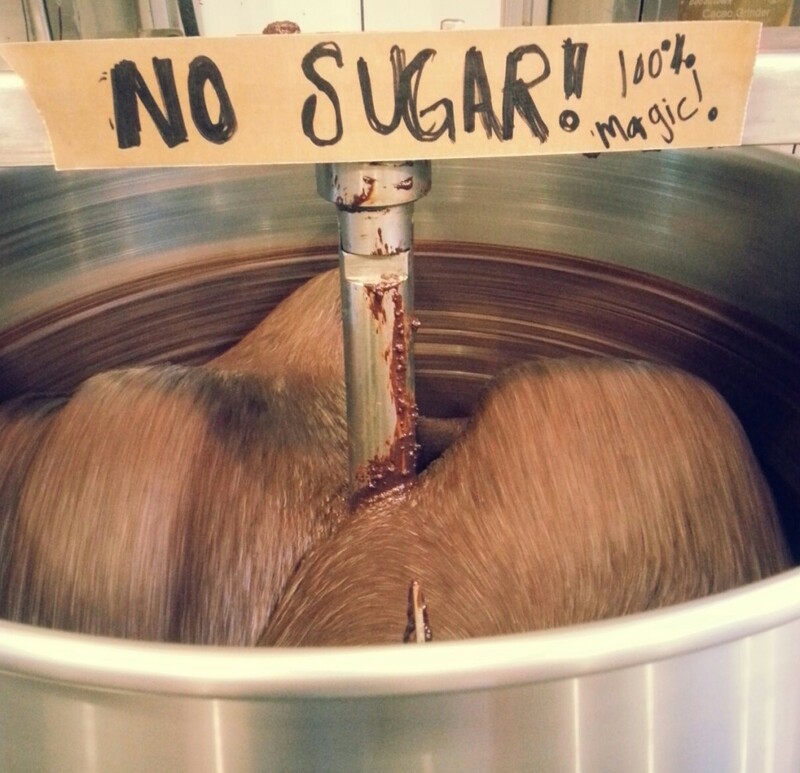 Made from 70%, beans-and-sugar-only, super pure chocolate, this was something for us to worry about. I did some quick research and we called the 24-hour pet hospital who told us they would pump his stomach if we brought him in right away. We rushed Samson over — luckily it was right down the street. Samson was shaking and vomited a few times along the way. The receptionist checked us in, took Samson, and then we waited. 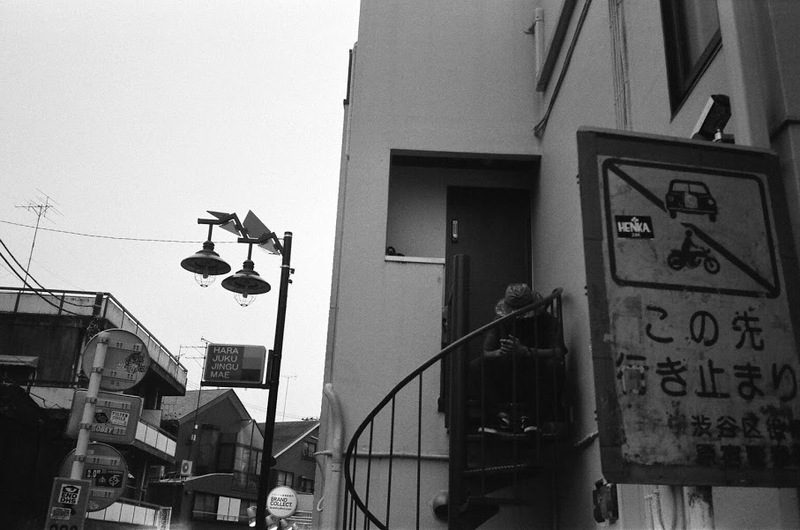 And waited. About an hour later, the vet called us in. She told us that Samson was perfectly fine and things were all clear. “Great!” we exclaimed and then started to ask — “how much came out when you pumped his stomach? What was the treatment?” Umm… She confessed that they hadn’t pumped his stomach — in fact they hadn’t done anything at all. She had done a quick search online, found some general rules, and since Samson didn’t look too distressed, she proclaimed him to be just fine. We realized that Samson wasn’t showing symptoms because the cake had been eaten fairly recently, but the hour that had just passed by was not making things better. I explained to the vet that 1) I am an owner of a chocolate factory, 2) that was a super chocolate-y cake, and 3) our chocolate is not like normal industrial chocolate (that often has very little cacao in it). 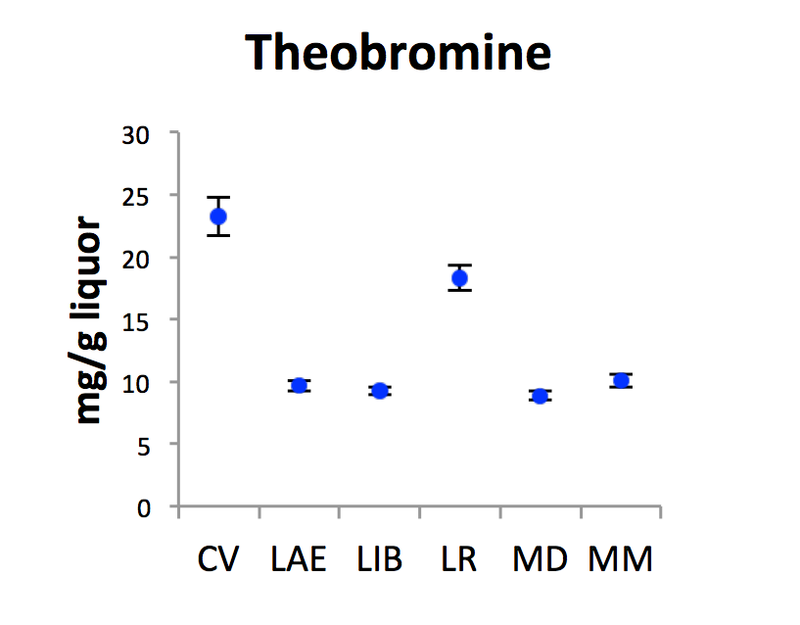 Luckily I had the lab report and calculated that he had consumed something like 4,000mg of Theobromine. For his weight, that worked out to about 150mg/kg. Sources online seemed to indicate that at around 300 mg/kg, 50% of dogs will die, though other sites indicated it was closer to 100mg/kg. Either way we didn’t want to take the risk. Happily, we were pretty sure the cake was made mostly with Maya Mountain chocolate which has a relatively low percentage of theobromine. 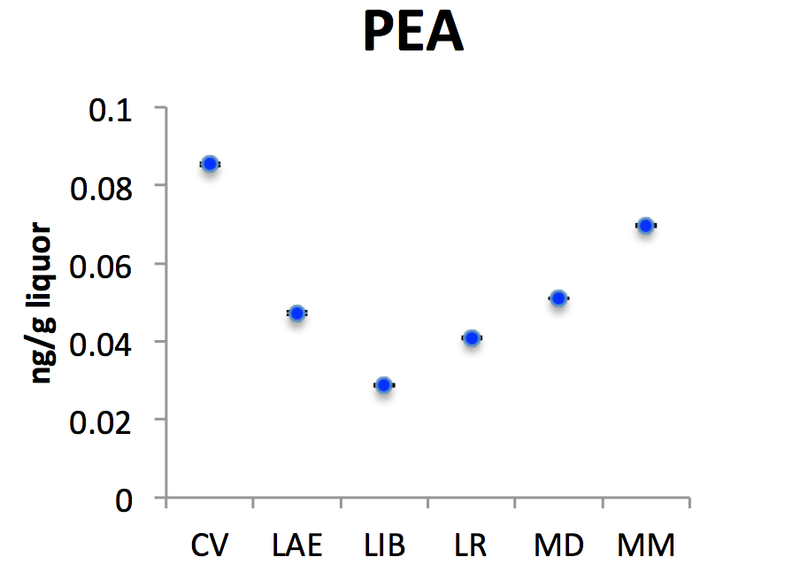 If it had been Camino Verde, Ecuador (CV in the chart), it would have had double the dosage. The vet quickly decided a new round of treatment was in order. Over the next hour, they pumped his stomach. She showed me the giant garbage bag of food that came out. “Yeah, he really did eat a lot of chocolate cake!” They also gave him activated charcoal which slowed down the absorption of the chocolate still in his system. The charcoal made him very thirsty, but he was forbidden to drink for the rest of the night for fear he might vomit it up. So the poor dog was so thirsty he howled through the night and pawed at the bathroom door. We wished we could have explained to him that this was for his own good. Needless to say, we were a bit exhausted come Thanksgiving morning, but thankful that we still had Samson with us. * You can see for our type of chocolate, there is about 10-24mg of theobromine for each gram of cocoa liquor (ground nibs). * Since we are making 70% chocolate, you can discount this to 7-17mg of theobromine per gram. * Therefore, a 56g bar of our chocolate has about 392-952mg of Theobromine. * At 300mg/kg of the dog’s weight, 50% of dogs will die. 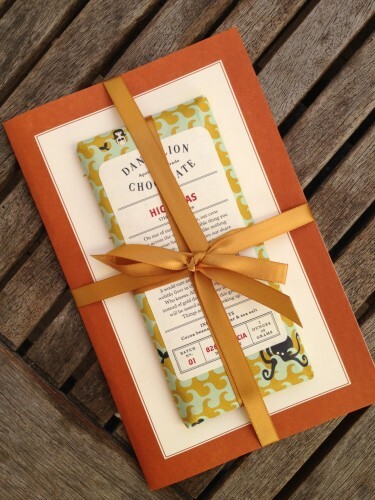 * So one bar of Dandelion Chocolate will put dogs who weigh around 2-7 lbs at severe risk. * Certainly there is more risk the more chocolate a dog eats or the less it weighs. * And keep in mind, these numbers are for fatal doses; you probably want to be concerned at much lower levels. Every Monday morning when I open the door to the chocolate factory to start my work week, that heavy, roasty, and sweet chocolate smell overwhelms my senses. By Friday I will have gotten used to it, but it only takes a weekend before it knocks me off my feet again on Monday. I love that smell, but what I love more is how it represents the myriad things that go on under our roof at 740 Valencia Street. 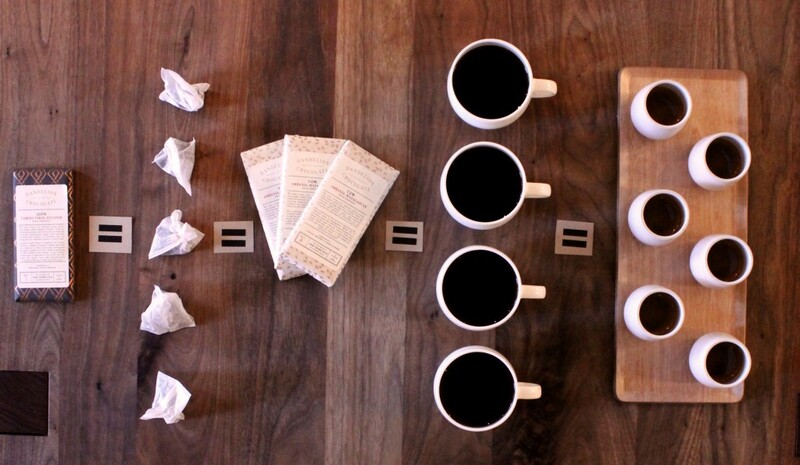 It’s the aroma of everything that we do. It comes from the production team roasting cocoa beans or grinding nibs to start a new batch in a melanger; from the cafe team, steaming up a hot chocolate; the kitchen crew baking off the next round of nutella cookies; the flavor team starting an experimental test batch to ensure quality in our chocolate; someone upstairs breaking up chocolate bars for our next Chocolate 101 class. Our wide open factory is built on the basis that we love to share what we do. One of our favorite ways to introduce what we do is by showing you our process through a tour of our factory floor. Every time we give a tour, we get the chance to stop and really think through what we do and why we do it. The tour gives us a platform to engage regularly about the process, the local food community, the chocolate community, our relationships with the farms we work with, and the folks that visit us. When we first established our tour program two years ago, we meant to build a clear look inside our process and how we do what we do. We wanted to make it easy and free, and the feedback has been more encouraging than we could have imagined. Lately, we are finding that because the tours are free and easy to sign up for, it is also very easy to not attend. 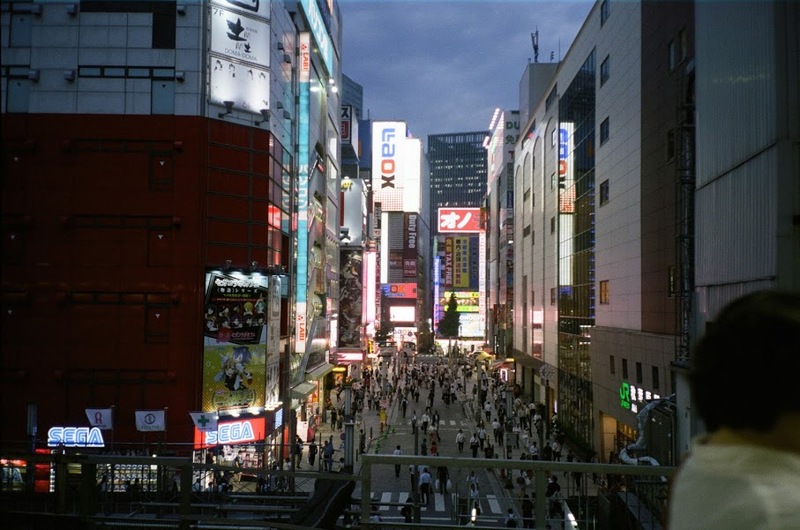 Of course, we totally understand that things come up, and anyone who signs up for a tour truly intends to come. 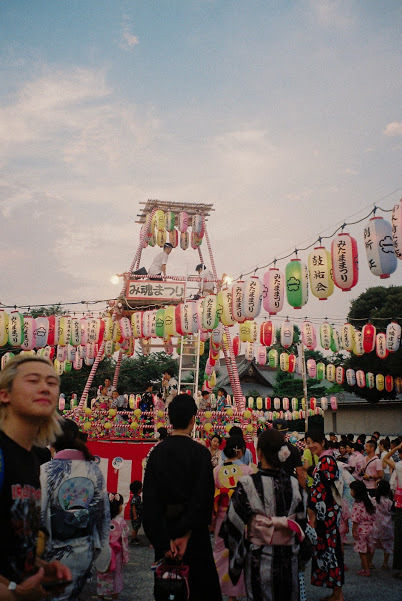 However, lately, we have also been amazed by a recent influx of tour requests! 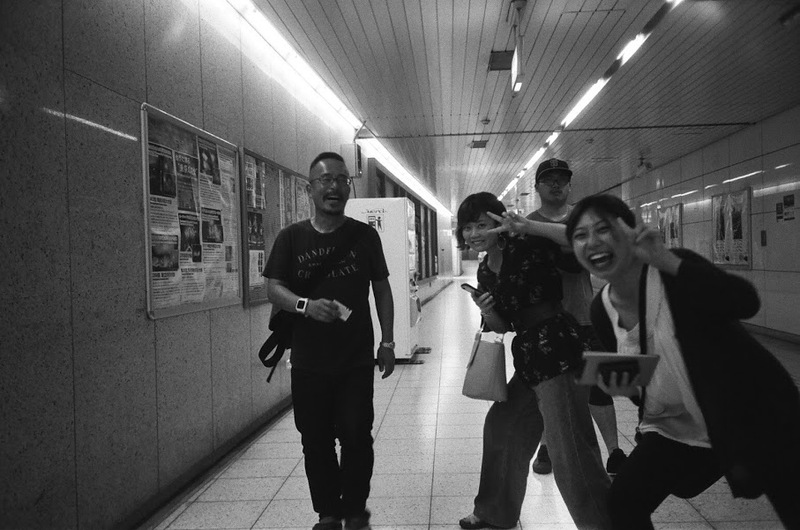 Because we are truly trying to share our process with everyone who is interested, we are really hoping to make sure the opportunity to tour is really available for those who will definitely participate. So what to do? We decided to make some tour changes and improvements to our current system! Sign up will now be available through our website with a calendar that’s easier to use. 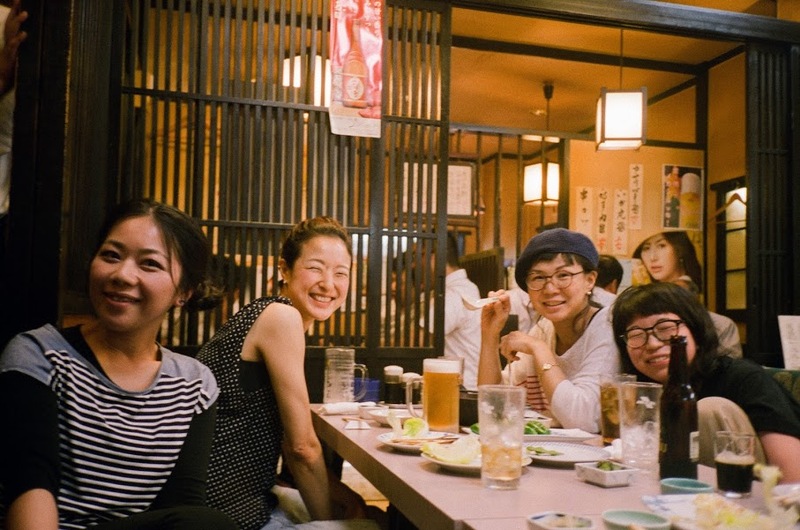 We are increasing the size of our tours to be able to accommodate eight people. Tours will be held Wednesdays-Saturdays from 6:10-6:50pm, and we have hopes of adding new days of the week in the coming months. We’re extending our tours so we can start with a guided tasting of our single origin bars before taking you on a tour of our factory floor and explaining our process. We are also going to start charging a $5 fee for the tour to encourage those who do sign up to attend. But at the end of the tour we will be giving all attendees who do come a free hot chocolate gift card to use in our cafe! We are hoping this system ensures that everybody who signs up really does participate and ends their tour on an extra chocolate-y note. We hope to explore our factory and all of its toasty aromas, noises, sights, and tastes with you soon! To reserve a spot, head to our Tours page. Inspired by Indigenous Peoples’ Day last week, I thought I’d take the occasion to start the first installment of a three-part series on the history and development of chocolate from the New World to Modern Day. 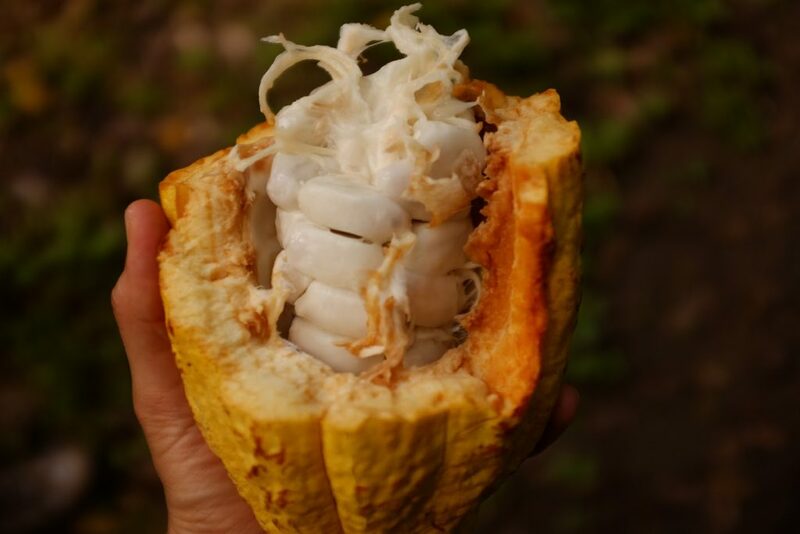 Maya populations still produce some of the world’s best cacao, and you can check out this video about how Maya Mountain Cacao is helping to revolutionize the indigenous cacao industry in Belize. Cacao was first cultivated, domesticated, and refined by Indigenous Peoples in Central America, by populations that continue to play a vital role—although we don’t necessarily see their contributions on this side of the supply chain. With this in mind, I’d like to talk about the ancient roots of chocolate in the Americas! 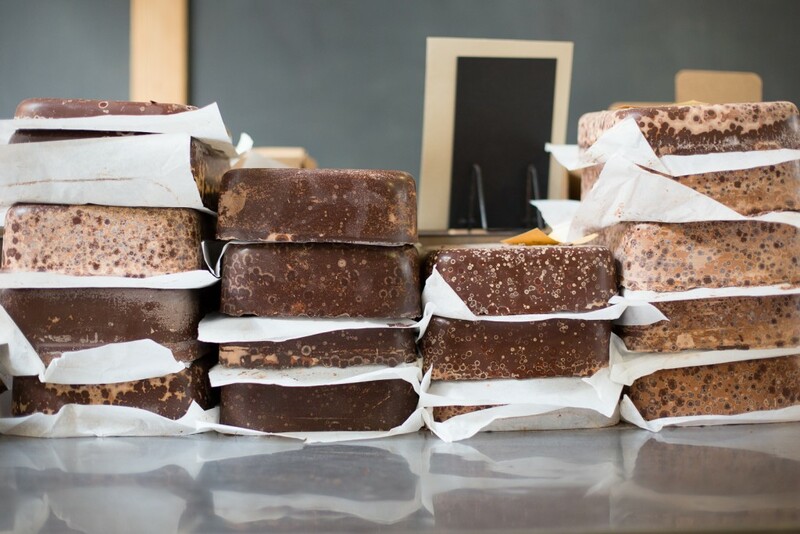 The first thing that comes to mind when most of us think of chocolate is a delicious, dark brown bar densely packed with a mood-altering je ne sais quoi, and sugar. 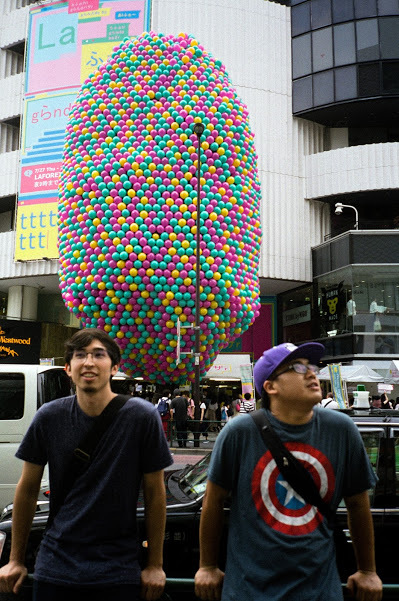 Or maybe it’s a childhood memory of M&Ms, Hershey Bars, or something more recent. However, for more than 3,000 years, chocolate was consumed primarily as a drink. While our modern conception of chocolate differs from its earliest mode of culinary delivery deep in the jungles of Central America, the cultural significance has stayed relatively constant across the centuries; it is a currency of pleasure, luxury, and ritual. The manipulation of theobroma cacao extends from prehistory to modernity with a fascinating lineage crossing oceans, cultures, languages and ages. While I could go on about the intricacies of development from Pre-Olmec to Henri Nestlé (there are many books on the subject such as The True History of Chocolate by Sophie and Michael Coe or The New Taste of Chocolate by Maricel Presilla) I’d like to do an overview of some of the major events in the history of chocolate: its pre-Columbian American roots, the European transformation of chocolate, and the industrialization of chocolate and the rise of American craft chocolate. But more on those later, let’s start at the beginning. Cacao and its seeds, or cocoa beans, have historical significance with the Olmec, Mayan, and Aztec peoples—a significance that depends upon the context each culture provides. 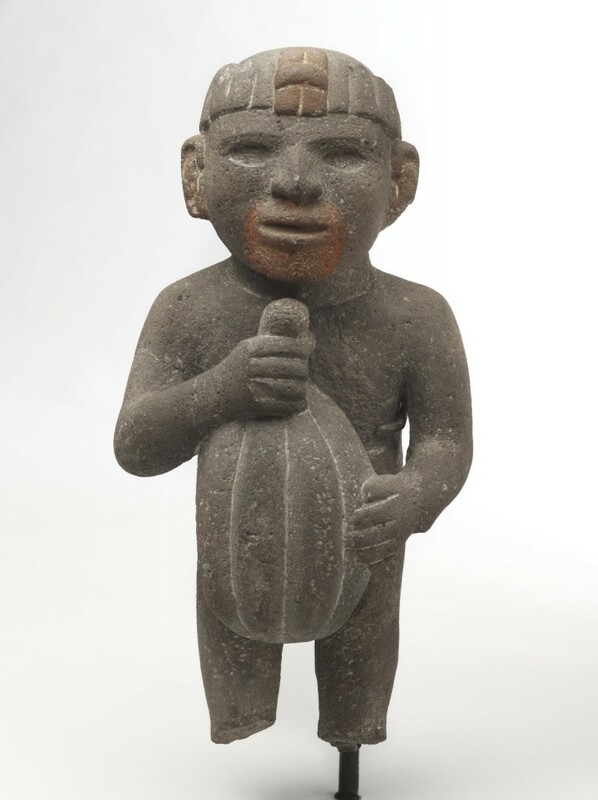 An Olmec archaeological site on the Gulf Coast of Veracruz has yielded at least one ceramic container that evidences the preparation of cacao as a beverage dating to roughly 1900 BC! Evidence such as this also typically indicates that usage likely preceded that date, but we lack the evidence (rising sea levels destroy archaeology sites), which suggests that at the least, humans have been manipulating and using cacao for 4,000 years! Other evidence in the archaeological record indicates that cacao pulp was fermented into an alcoholic beverage around 1,400 BC. The Olmec are the folks that left behind colossal stone heads throughout Southern Mexico, and were the first major civilization in Mesoamerica. Unfortunately, the Olmec did not use written language, so we know very little besides what their abandoned sites can tell us, but it is generally agreed that they were the first to domesticate the cacao tree, that the beverages they made from cacao were used for medicinal and ceremonial purposes, and that their cultural lineage extended through the Mayan and Aztec Empires. The Maya, in contrast, left behind a rich record of data regarding their fondness for cacao drinks, which they associated with the gods. Incidentally, so did Linnaeus when he named the tree Theobroma Cacao in the 18th century; “Theobroma” from the Greek for “food of the gods,” and “cacao” being a European derivative of the indigenous Mayan “kakau.” The Maya also had a hieroglyph representing cacao in their art, and left behind depictions of rudimentary recipes for production. The Maya Empire spanned across the Yucatan Peninsula in Southern Mexico, crossing modern Belize, Guatemala, Honduras and El Salvador; the heartland of cacao cultivation. The Maya excelled in math, astronomy, and some huge public works projects from roughly 250-900 AD, and were organized in a city-state system in which cacao was a common form of tribute and currency. 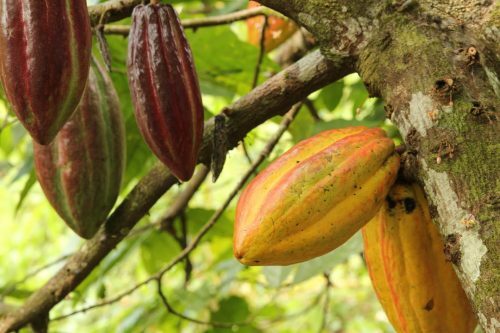 Archaeologists have even discovered counterfeit cacao beans! This tradition of using cacao as currency extended into colonial times under Spanish rule. For the Maya, the cacao beverage was a treasured drink of the ruling class, and a treat to families who cultivated cacao in their home gardens. For the drink, the beans would be fermented, dried, and roasted, much like today, then ground on metates and mixed with a variety of spices: achiote, all-spice, peppers, cinnamon, vanilla, and honey. The paste made with these ingredients would be heated and poured from vessel to vessel to produce a frothy foam. The Maya traditions of cacao reverence, cultivation, and consumption extended from the Pre-Classic Period (2,000 BC-250 AD), to the Classic Period (250 AD-900 AD) and into the Post-Classic Period, which ended with the Spanish Conquest in the 1400s. Spanish priests thoroughly documented many of the Pre-contact Maya traditions, including their treatment of cacao—a record that directly catalyzed cacao’s journey to Europe in the following centuries. One of the most important things to remember when thinking about chocolate, cacao, and the Maya, is that many of these traditions are still practiced in the places where Maya communities still exist. There are competing theories on the etymology of the word “chocolate,” but most have at least some connection to the Aztec language of Nahuatl. 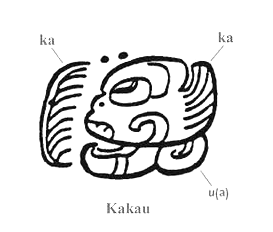 Some attribute the word to the Nahuatl word “xocolātl,” meaning “bitter water.” My inquiries have lead me to another theory in which the word is a hybridization of a Mayan word “chokol,” which means “hot,” and the Nahuatl word “atl,” meaning water. It could also be a combination of “kacau” (cacao) and “atl,” simply “cacao water.” Either way, the word “chocolate” itself represents a combination of Maya and Aztec cultures, an appropriate blend considering the historical transmission of knowledge through the cacao trade. 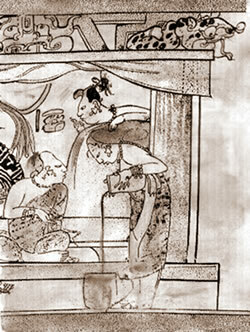 The Aztec prepared cacao as beverage specifically for the elite, as to consume cacao was essentially to drink money. Their preparation of the beverage was quite similar to the Maya, the primary difference being that the Aztecs consumed it cold rather than hot. 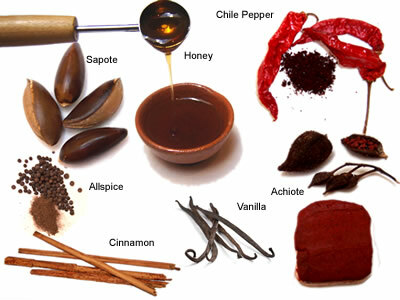 The cacao would be ground with the other spices, mixed with water, filtered, and agitated to froth it. This mixture would then be poured back and forth between two vessels to create more foam. 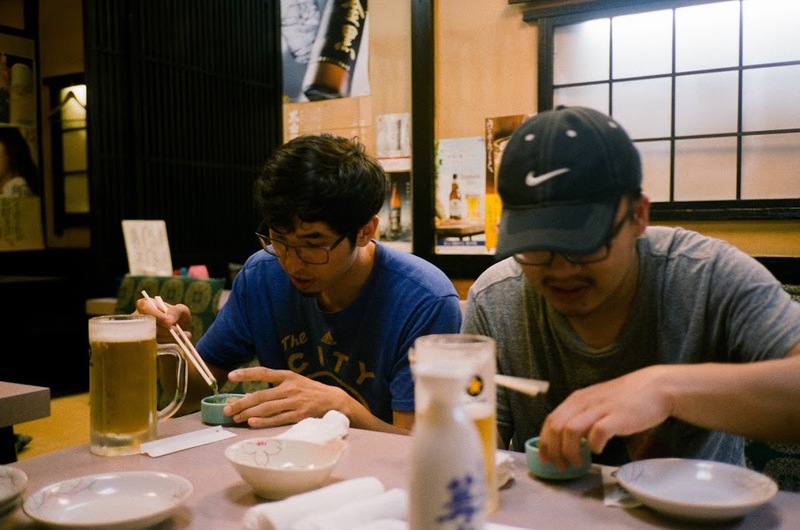 The foam was considered the highest delicacy. An inferior drink would have diluted the cacao with ground corn. This drink was consumed habitually by the Aztec elite and was served to Hernán Cortés and his companions when he met with Moctezuma II, the Aztec Emperor in 1519. 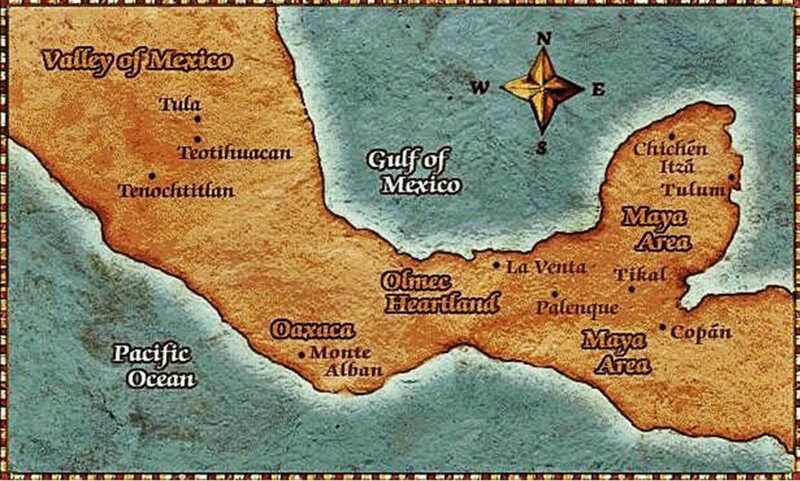 The Aztec relationship with cacao is interesting because they did not and could not have grown cacao in their semi-desert climate of Southern Mexico. However, they valued cacao highly and the products that could be made from its beans. 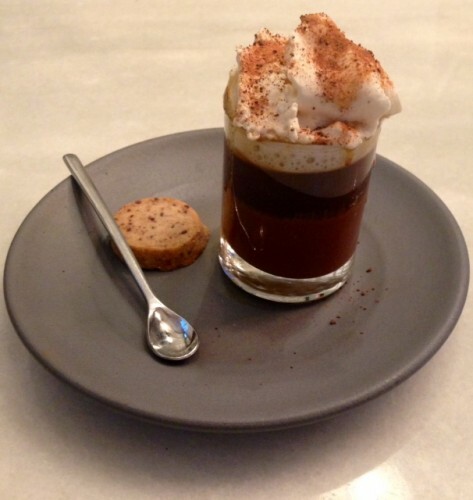 Allegedly, Moctezuma II consumed up to 50 servings of the spiced foamy cacao drink a day. He even had a cacao warehouse that at the time of contact contained roughly 960,000,000 beans! The beans were imported through trade or tribute into the Aztec empire from the Putún Maya, their coastal neighbors and trading partners. These people are also likely to have introduced the use of cacao beans as currency to the Aztecs. 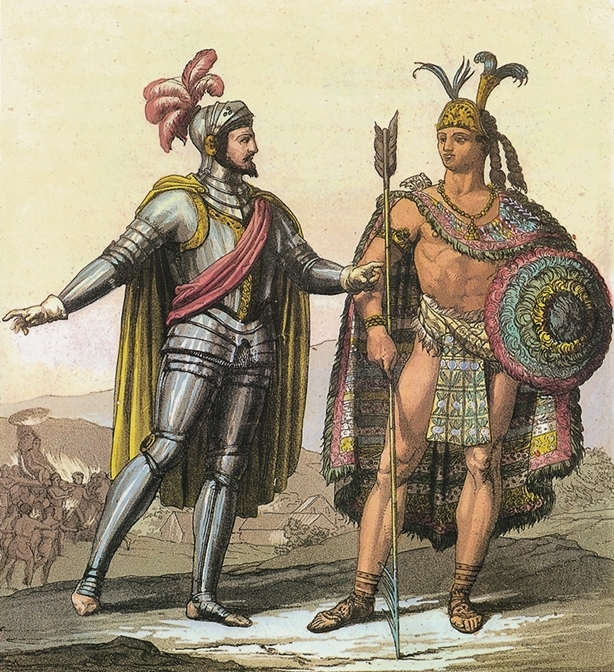 The Aztec Empire began with a unification of neighboring powers around 1428 and lasted until their defeat at the hands of the Spanish Conquistadors led by Hernán Cortés in 1521. 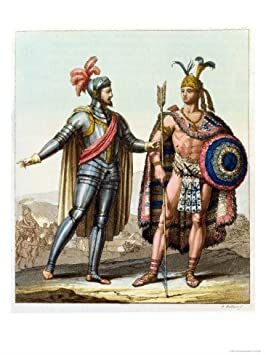 The Aztecs had a very complex culture which we know about largely due to the ethnographic accounts of Franciscan Friars who learned Nahuatl and worked with Aztec priests and scholars to thoroughly document Aztec life before their contact with the Europeans. The Aztecs also used cacao ritually, both to be drunk during ceremonies and even symbolically in acts of human sacrifice. In this context, the cacao pod would symbolize the human heart. Cacao eventually played a large role in the subsequent colonization of the Americas, thanks to the large part it played in America’s native cultures. Later, enthusiasm for chocolate spread across Europe, a legacy that continues today. These ancient and living histories are fascinating to contemplate when one considers chocolate as an everyday, commonplace food. The development of chocolate has been thousands of years in the making and is still changing today, an evolving story in which I’m grateful to take part. Coming up in the next installment of A Brief History of Chocolate, we will talk more about European contact with cacao in the New World, how it was introduced it to the palaces of Europe, and how the first chocolate bar was made! Coe, Michael D. The Maya. 5th ed. New York: Thames and Hudson, 1993. Presilla, Maricel E. The New Taste of Chocolate: A Cultural and Natural History of Cacao with Recipes. Berkeley: Ten Speed Press, 2001. 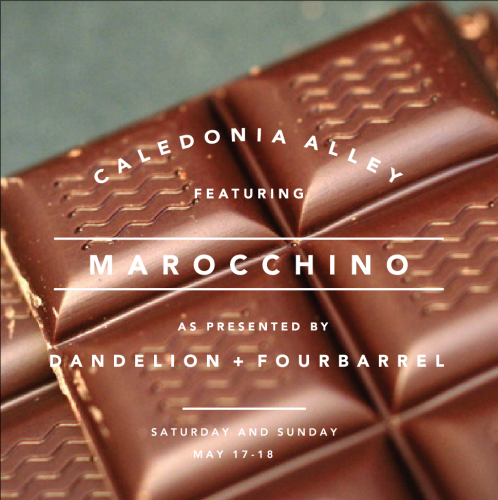 If you like our Marocchino, this weekend you should stop by Caledonia Alley behind Four Barrel! This little treat is our version of a traditional Northern Italian drink (Drinking Chocolate + Espresso + Nib Whipped Cream), and for this weekend only Four Barrel is serving their interpretation (think bourbon whipped cream)! Caledonia Alley is a small kiosk that harkens back to 4B’s earlier (build-out) days, and is located directly behind the building in the alley. They’ll only be open from 9am-3pm for a few weekends coming up, during which they are hosting signature drinks from a number of their favorite wholesale accounts (we’re one of ’em!)! This definitely aught to be a fun way to start a weekend morning, so check ’em out! 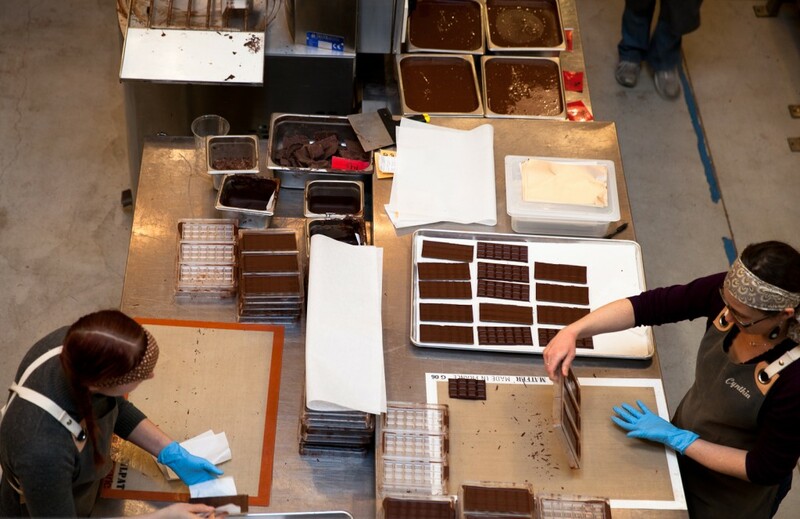 Back in June, Alice and I led a workshop called “Chock-full O’ Chocolate” at our friendly neighborhood pirate supply store, also known as 826 Valencia. Founded ten years ago in San Francisco, 826 Valencia offers a variety of free programs for primary and secondary school students to support their writing skills, foster creativity and inspire confidence through writing and the literary arts. We met a group of really great, talented students (all between the ages 12-15) who came to learn about chocolate, the chocolate-making process, and to further hone their creative writing skills. By the end of the four-week session, each student had produced numerous short stories, poems, and drawings inspired by chocolate. They personally selected their best pieces, which were published in a chapbook entitled If I Were A Wizard Chocolatier. We’re thrilled to announce that this chapbook can now be found at our chocolate factory as well as 826 Valencia! To commemorate this super-special collaboration with our neighbors, If I Were A Wizard Chocolatier comes with its own limited-edition chocolate bar, developed especially for 826. It’s called the High Seas bar, complete with sea salt and an intriguing back-story. In honor of the partnership, we’ve made a total of 826 bars. You can pick up both as a bundle at our space; alternatively, you can purchase the chapbook at 826 Valencia’s Pirate Supply Store, where you’ll also receive a golden ticket that can be redeemed for the accompanying High Seas bar at our location one block away. María and Lauren, two of the fantastic designers at 826, are responsible for creating the look of the chapbook, as well as the packaging for the High Seas bar. 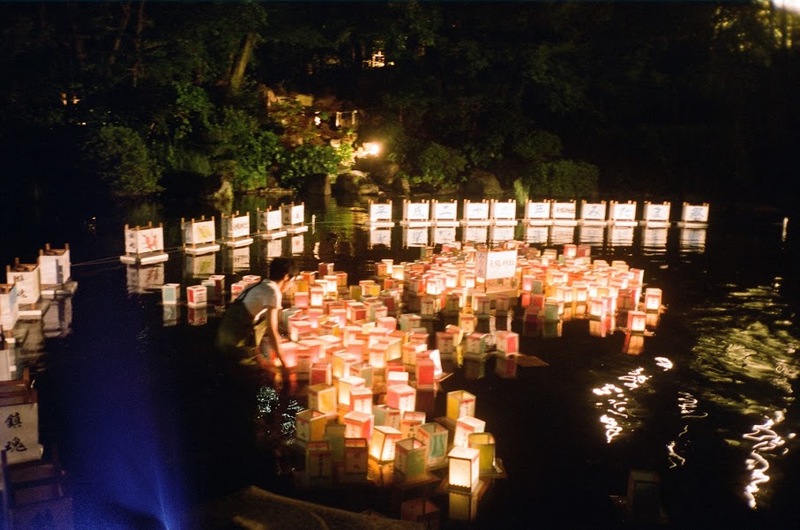 They did an absolutely amazing job, and we can’t wait for you to dive right in and enjoy both! A portion of the proceeds from If I Were A Wizard Chocolatier and the High Seas bar will go to 826 Valencia, so they can continue to fund free student programming for elementary-, middle- and high-schoolers. We had a great time working with everyone at 826, and especially with our workshop participants: Nathan, Miriam, Cecily, Janelle, Bryan, Troy, Anja, Zora, Anthony, Alexis and Myles. Now that our factory and retail space on Valencia is open to the public, please feel free to stop by and thumb through the chapbook: maybe it’ll inspire you to pen a paean to chocolate as well! Please click on the links to learn more about 826 Valencia and 826 National, which coordinates its sister chapters located around the country.